Starting a business can be a big risk. We start our own businesses with the hopes of being successful and making a profit. Unfortunately, things do not always go as planned and we are sometimes left with a financial loss rather than profit. This really isn't an indicator as to whether a business will be successful; many businesses operate in the negative for the first few years. Most people know that we must report all profit and earned income on our tax returns. We must also report losses in the event that our business ventures are not profitable. To report a loss you must first learn how to calculate the business income and then know how to properly enter negative numbers on your tax return. Calculate your business loss using Schedule C. First enter all of your business income in Part 1 and then enter your expenses in Part 2. Attach Form 8829 if you used your home in connection with the business. Business income is any money the business generates during the course of operations. Sales of good and services, as well as some sales of equipment, could be considered business income. Make sure all forms of income are included in the calculation. Also include all of your business expenses. Office supplies, equipment, salaries, advertising and other expenses should be included. 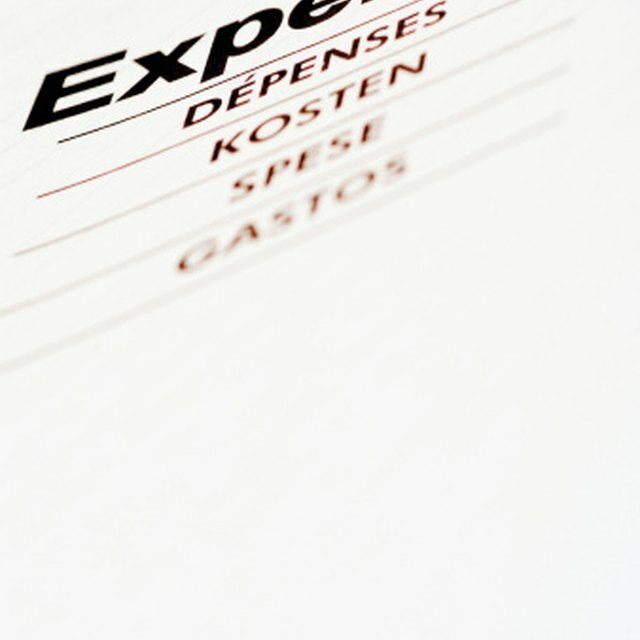 If it was something purchased to help run the business, it's an expense that needs to be included. Enter your loss on line 31 of Schedule C. Write the amount of your loss in parenthesis with a negative symbol (looks like a minus sign) in front of the number to reflect the negative amount. Attach Schedule C to your completed tax return. The business has suffered a loss if the amount of business income is less than the amount of expenses the business incurred. For example, if the business had $50,000 in income, but $55,000 in expenses, the business would have a loss of $5,000, which is expressed as (-$5,000). Enter the amount of your loss on Form 1040 line 12. Write the amount of your loss in parenthesis with a negative symbol in front of the number to reflect the negative amount. You can opt to not use the negative symbol or parentheses if you choose, so long as one or the other is there to note that the amount is a negative number to show the loss.